I’ll never forget the summer of 1957 at the Lenox School of Jazz when Percy Heath played a few tracks of Ornette Coleman’s first record for Contemporary Records, Something Else!!!!. Some students were exasperated and one guy even walked out. The director, John Lewis, flipped and I practically swooned. I immediately asked the owners of Gatto’s Record Store, Helen and Chick Gatto, in Thompsonville, CT to purchase five copies. I bought one for myself and sent one to the Elk’s Club (where I would hear Houston Person when I was 16 yo and right next to The House of God and Christ in North Hartford). This joy was nothing compared to learning that I would be a classmate of Ornette’s at Lenox in 1959, but it might have been ’58. I was there all four years so it’s hard to recall which it was. He was a strange muse. He would whisper when he talked to me. Once when the classmates made fun of my music he put his arm on my shoulder and later Don Cherry really befriended me and said I was admired. The Berkshire Eagle gave Ornette a cover feature and I think they mentioned me at the bottom paragraph. With that my Grandmother sent me a congratulatory letter. This was published in Pittsfield. I remember catching Ornette at the Five Spot. It was so jammed that I had to stand. Iggie Termini recognized me from having been there to hear Monk and Train. He put me at a stool and Lenard Bernstein said, “That’s a good idea.” I’m not sure if he was talking to me or the idea of ordering more drinks. I saw my former teacher, Martin Williams there. An aura of electricity through the club. 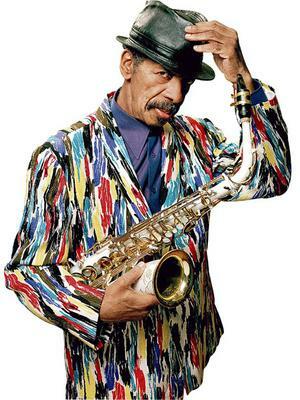 I only conversed with Ornette in my NY days a few times and later in the ‘80s when Gunther Schuller had invited me to join the New England Conservatory. I remember congratulating him the year that George Russell’s Living Time and Ornette’s Skies of America were released by Columbia. This was ’72 I believe. The last time we met he called me by name and gave me some kind of a compliment and said, “It’s too bad you only play piano.” I had known for a while that this was one of his least favorite instruments. I’ve studied his music for many years and will continue to do so.